Much as we liked the Passat Variant back in issue 065, there’s no convincing the majority of customers away from their beloved sedan body styles. This brings us to the car tested here. In essence, this car is meant for any one who likes the R-Line goodies fitted to the Passat Variant without the extra cargo capacity. Some of the highlights include re-styled LED headlamps, 18-inch alloys and chrome accents on the body kit to name but a few of the exterior augmentations. 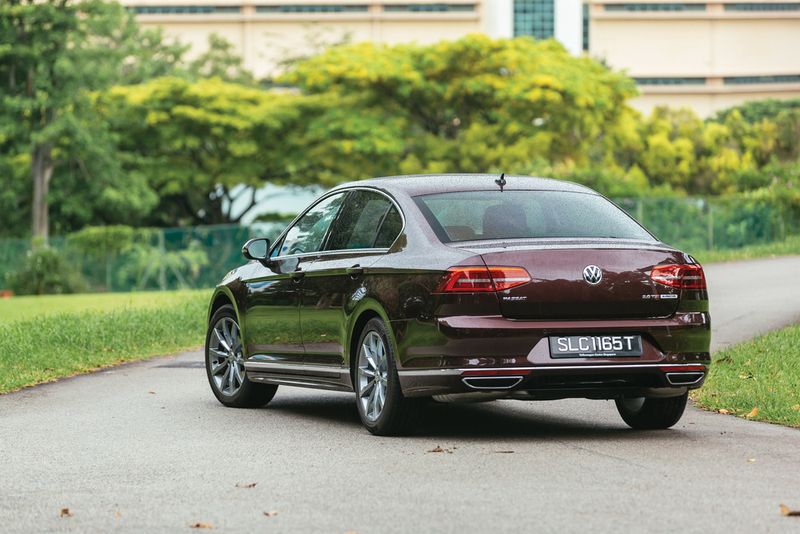 Altogether, the R-Line components give the Passat a more assertive stance that could comfortably hold its own against the likes of a BMW 3 Series or Mercedes C-Class. 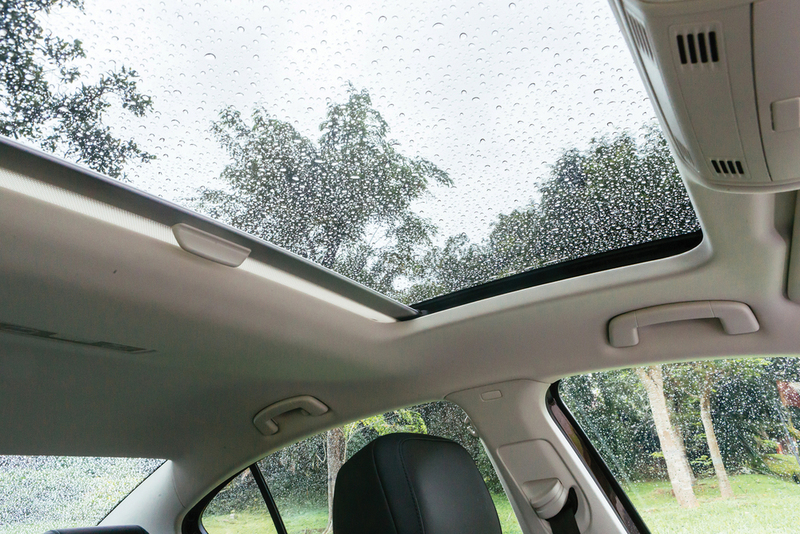 Compared with the latter pair, the Passat R-Line’s interior offers unbeatable inside space, especially as it pertains to rear passenger legroom. Up front, the driver is treated to a full digital display that can be configured to prioritise the navigational map or different styles of dials. 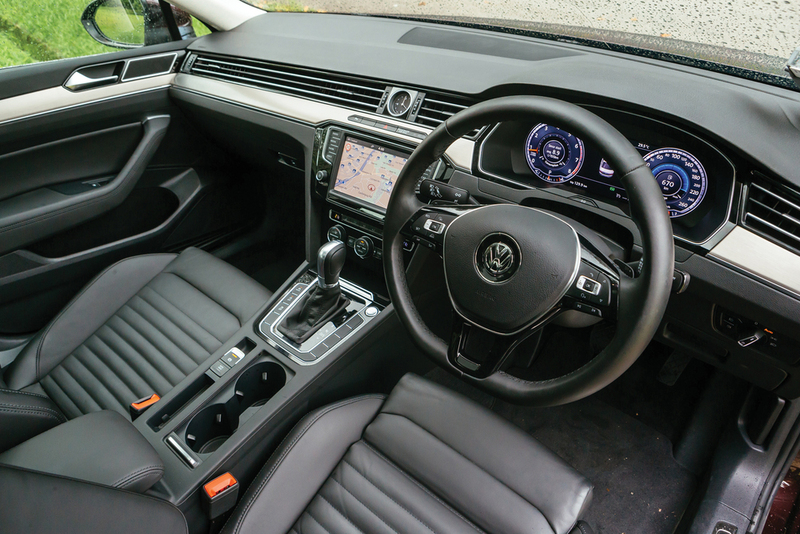 Now that the Passat’s interior has had the upmarket treatment, it is time that VW looks more thoroughly into its parts bin to source a steering column from a class above. Compared to the rest of the interior, the manually adjustable steering column surrounding cowl feels slightly at odds in terms of the perception of quality. A better calibrated steering assistance wouldn’t go amiss either as the current setup feels a little too light and is in need of more feedback. on the centre console or Individual mode that lets the driver customise the steering, drivetrain response and suspension damping individually. This was found to be quite useful as a combination with the steering being set to Sport while the drivetrain set to Normal and suspension on Comfort seemed to produce the optimal balance for most applications. With the 220hp 2.0-litre turbo power unit fitted, VW is essentially offering the Golf GTI drivetrain in a Passat’s body shell. The extra weight obviously takes the edge off the performance when compared to the hot hatch, but there’s still plenty of power in reserve to keep most drivers entertained. For those who are still unimpressed by the performance on offer, it is worth noting that you would be hard-pressed to find anything that offers this kind of performance at its price, which comes in at a snip under the entry premium car models such as the Audi A4, BMW 3 Series and Mercedes-Benz C-Class. So the Passat R-Line poses an interesting dilemma. Would you rather spend $180k on a VW with all the trimmings or an entry premium model with next-to-nothing spec? Although I know of plenty who would still go for the badge, this only serves to make the Passat a more interesting choice as the idea of driving the same thing as everyone else really doesn’t appeal to me.